I was sick of the glass part of my coffee table never looking clean, part of what goes with owning dogs. If there was one smudge on the bottom of the glass it showed! 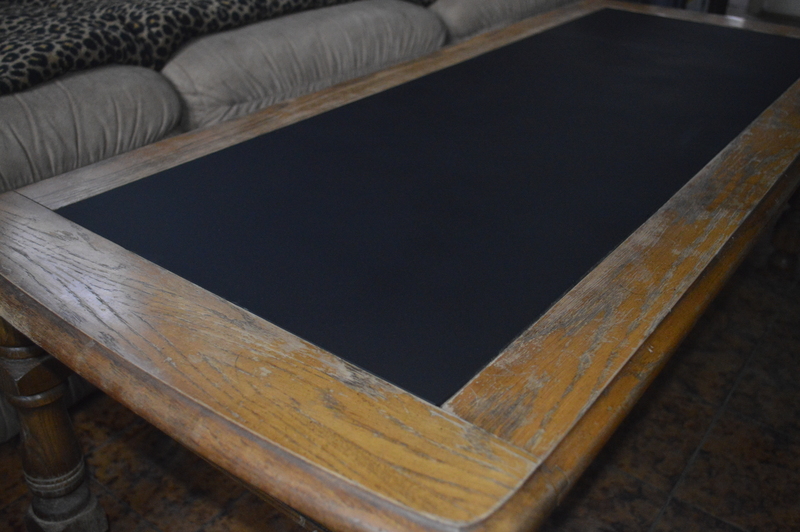 So….to make things easier for me, I decided to spray paint the glass with a few coats of Rustoleum Chalkboard Paint. It’s fun and reversible!! First I took the glass outside to spray it (after if was clean and dry). Then I let the paint dry for a full day. 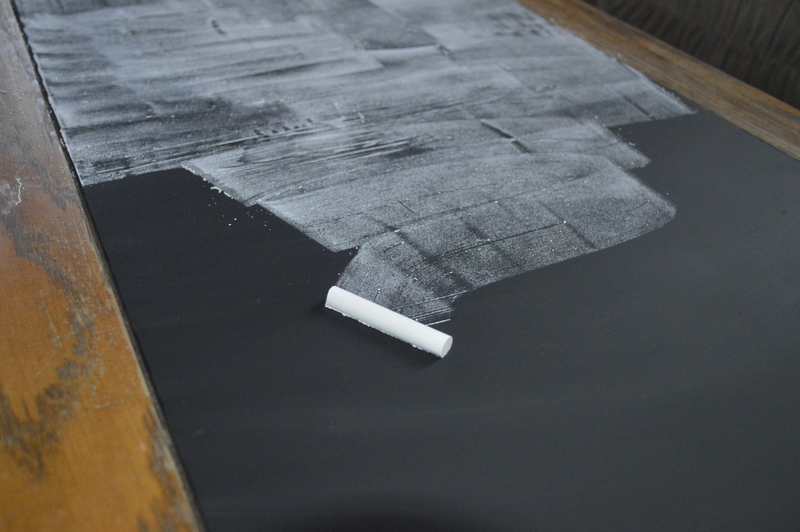 After that, you need to rub chalk gently over the entire surface to season it. Erase it and you’re ready to use it! Easy Peasy! I did get nervous that the chalkboard paint would get scratched with things my husband puts on the table, and then I decided to flip the glass over and see how that looked. I don’t have a picture at the moment, but I absolutely love it!!! It’s shiny, black glass that my hubby can set anything that he used to put on the table. 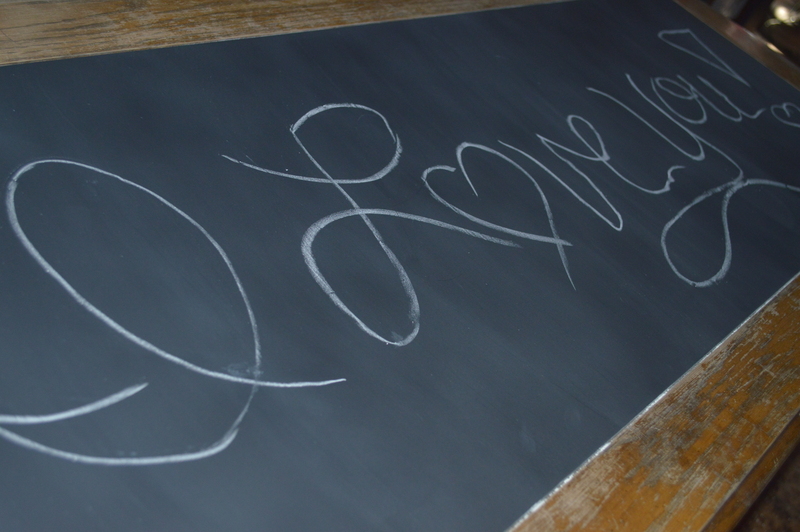 When our nieces come over, we can flip it back to the chalkboard side. I love options!! 🙂 Here’s a quick look at the before and after. Now I just have to sand and re-stain the old wood part of the table. 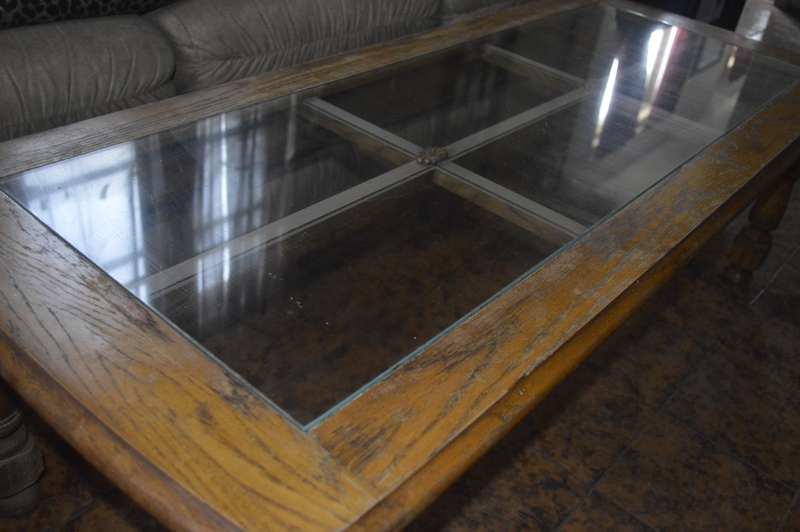 We have a coffee table somewhat similar to this as far as the removable glass. Thanks for a great idea!